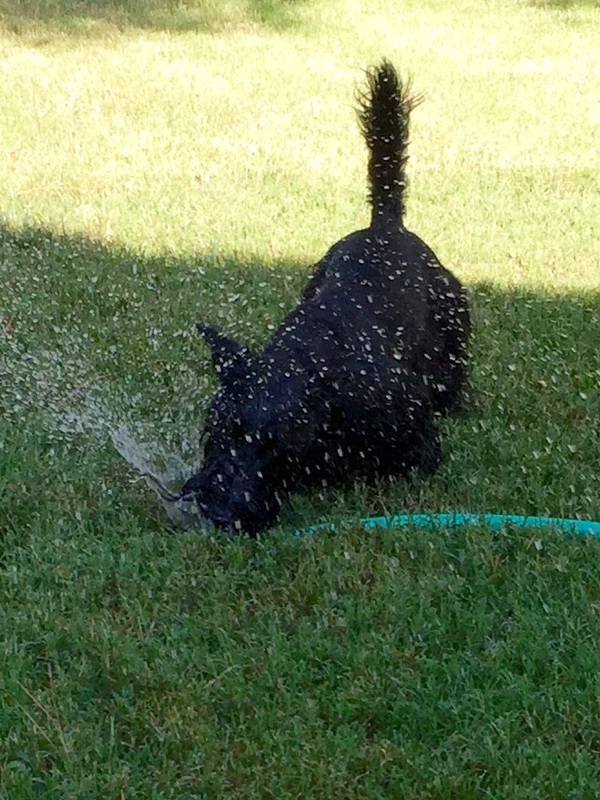 It is so hot in July here in Oklahoma that early mornings are the best time to enjoy the yard. 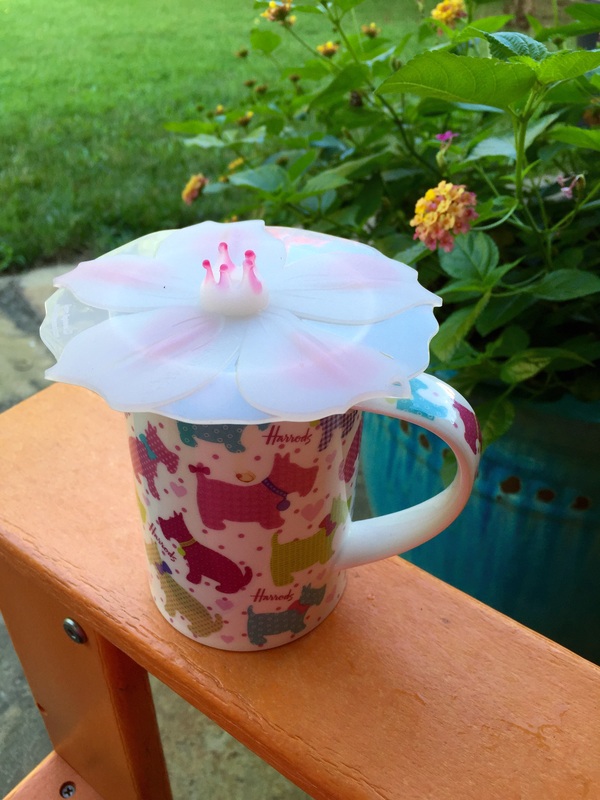 This silicone top Mom brought back from Wisconsin sure keeps the bugs out of the coffee. Lantana, a Texas native, is a sure bloomer in the 107 heat index. Not many plants can say that. Unfortunately, the heavy rains we received in May did a lot of damage in the garden so it is not as pretty as last year. There are still things happening though.